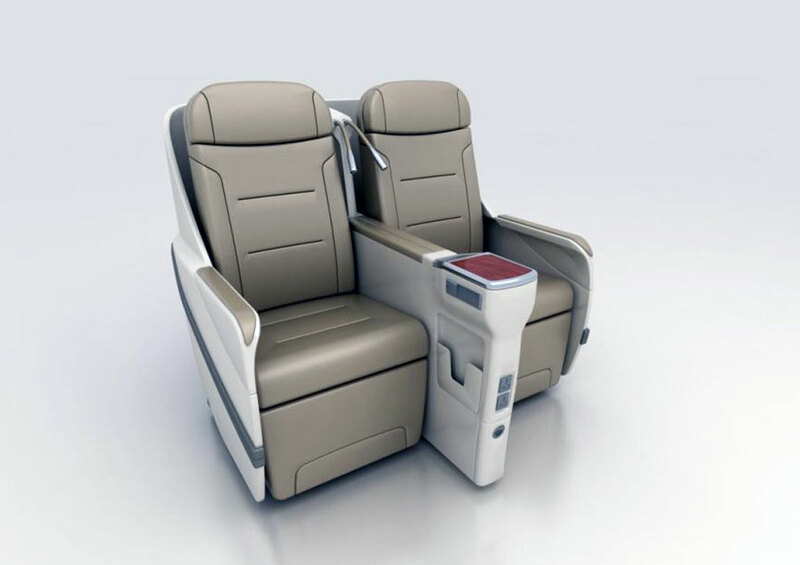 The KKY131 Series Business Class Seat is a new type of seat that is subject to CTSO-C127b. The seat is designed as double seat units in accordance with ergonomic principles, with which, the normal, Z type comfortable and 166° inclined lie flat postures can be achieved by hand or by electric control. It meets the requirement of least a 57 inch pitch. The weight of one seat is less than 130kg. The seat incorporates a number of components such as a center armrest, legrest, private shroud, built-in dinner table (BDT), life vest box, reading light, document holder, audio and power socket. The width of the seat reaches 550mm. The electric control system enables fault self-diagnosis and recognition, and operates with only 47db noise. The seat is easy to maintain and comfortable in long range flight. The seat can be installed in the Boeing B767 series and Airbus A330 series airplanes.